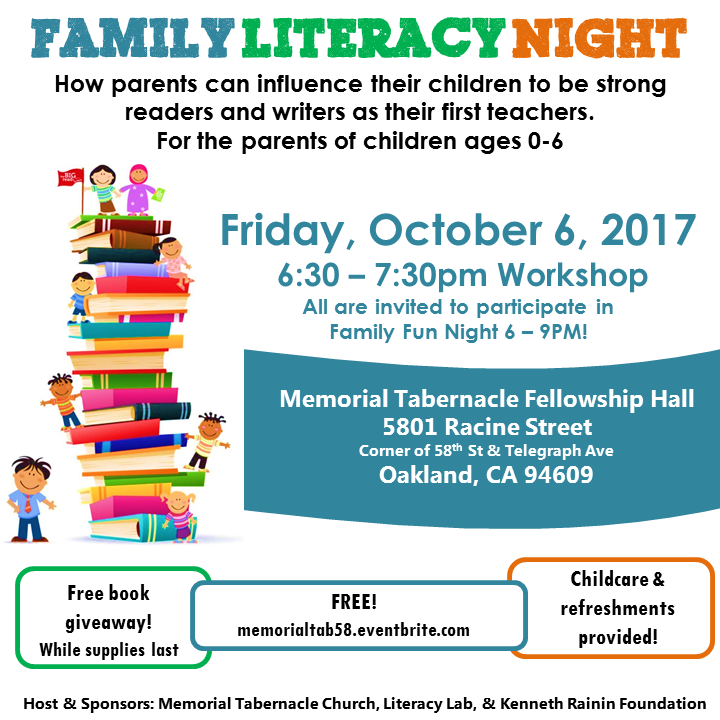 Memorial Tabernacle Church, Literacy Lab, & Kenneth Rainin Foundation invite you to Family Literacy Night Friday, October 6, 2017, 6:30 – 7:30pm. The workshop is called First Teachers! Parents of children ages 0 to 6 are invited to learn how they can influence their children to be strong readers and writers. Free book giveaway while supplies last! Free childcare and refreshments! All are invited to participate in Family Fun Night 6 – 9PM!